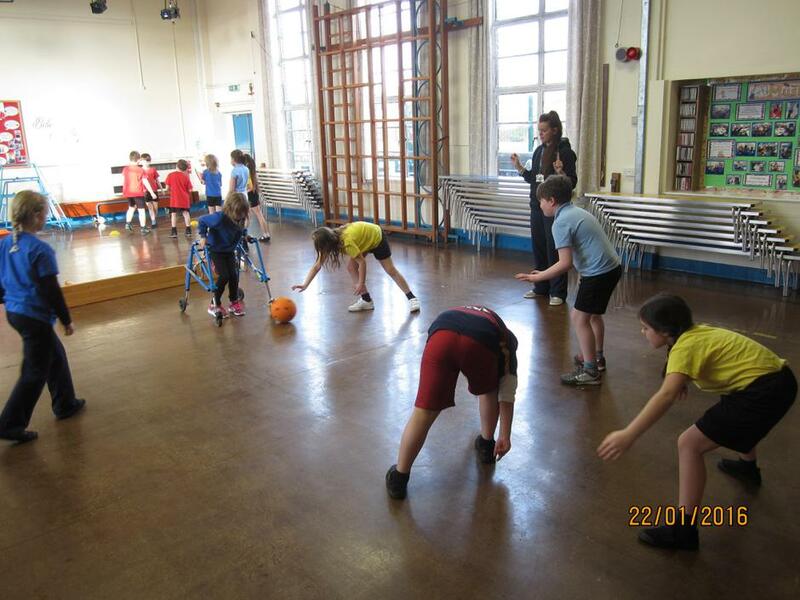 Over the last 4 weeks, Ashleigh, from Premier Sport has started our 'Road to Rio' experience with some Paralympic Goalball sessions. Goalball is a team sport designed specifically for blind athletes, originally played in 1946 as a means of assisting the rehabilitation of visually impaired World War II veterans. 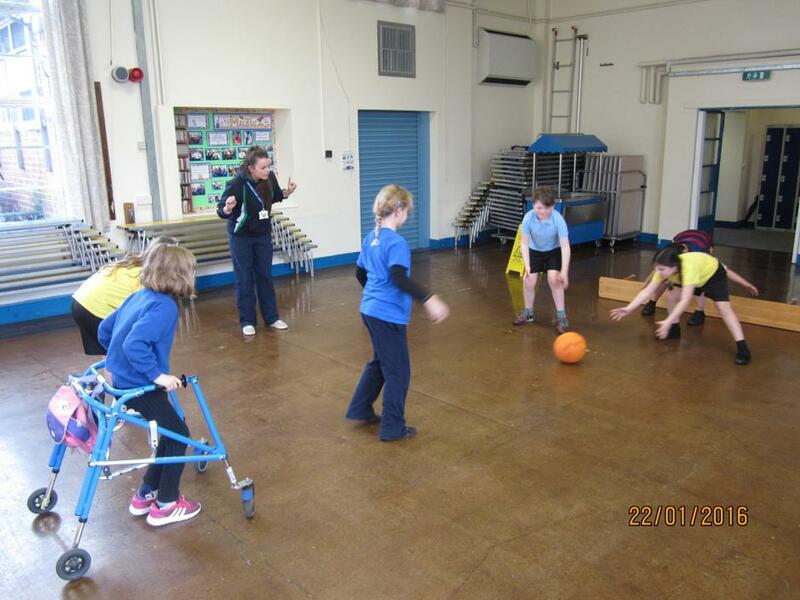 Goalball quickly grew into a competitive sport and was the first sport to be designed exclusively for disabled players. Teams alternate throwing and rolling the ball from one end of the playing area to the other passing to their team in order to try and score a goal. Players must use the sound of the bell to judge the position and movement of the ball. 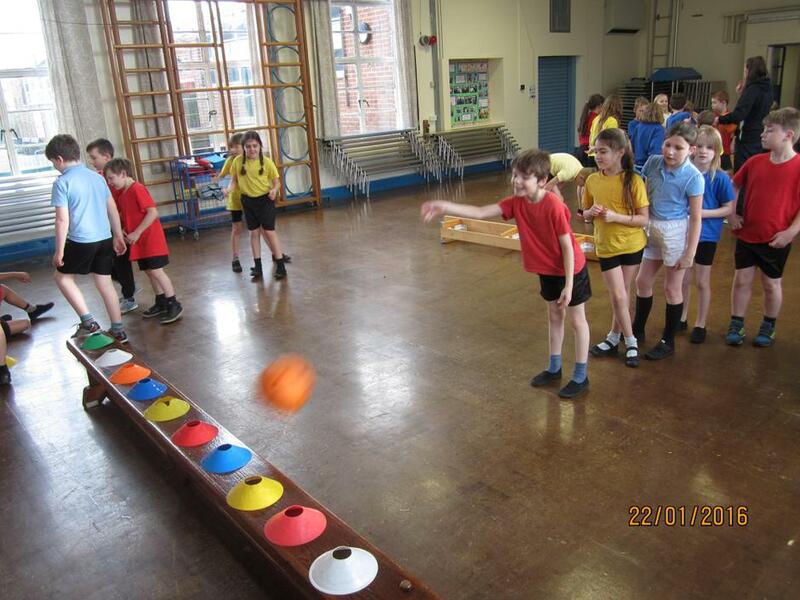 Mr Bunhejee's class have been doing a fantastic job of learning the skills required for the game and have shown a great attitude towards this new and exciting experience.